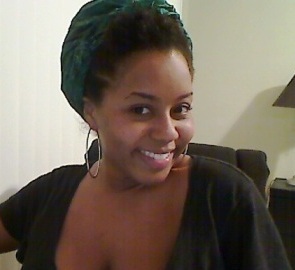 A few days ago I came across this video on CurlyNikki.com showing how to wrap your hair in the popular turban style. I actually was rocking this style last year in AZ, thought I wasn't aware of what it was exactly called at the time. I just wanted a cuter way to rock my scarf around the house. This is actually a cute way to salvage a bad hair day or if you're like me and won't step foot out the house with your hair in twists or braids, throw this on and show off the front. I'm going to shop around for some cute scarves to try this style out again. N♥il Art: China Glaze "Shatter"